Amazon FireTV is coming to San Diego Comic Con this year!! 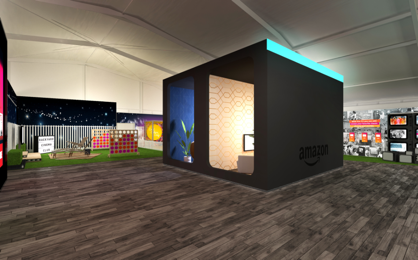 We will have the opportunity to experience the Amazon “Flash Forward To The Future” experience ourselves, but we wanted to give you guys a look into it as well, hell, maybe you’ll come down and do it yourselves! You’ll dive into the immersive, hands-on experience with the future of television and the full Fire TV portfolio, including the new Fire TV Cube and Toshiba 4K Ultra HD Fire TV Edition. “Fast Forward to the Future” will take you on a journey through the evolution of television, showcasing how Fire TV now makes it easier than ever before to watch all of your favorite TV shows and movies, control smart home devices, use Alexa skills, listen to music, and more. The following is the official press release from Amazon, but we will be bringing you our official coverage on the “Flash Forward To The Future” experience, after we have gone through it! From reading all that we will be doing, we are excited to experience this, not only for ourselves, but with you guys as well! Stay tuned! The activation includes vignettes like the “Device Garden,” where antiquated technologies will be given a place to call home; a graveyard of sorts to commemorate devices we once knew and loved before they were overshadowed by newer, more user-friendly technologies. Hang out in the “Backyard Cinema Club,’ where you will be able to try the Fire TV Stick in a re-imagined outdoor theater created from retired VHS tapes. 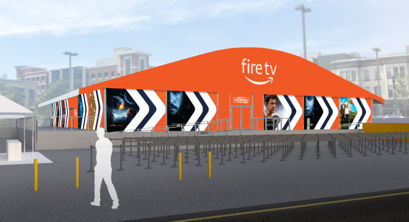 As an homage to all the fan-favorite content available on Fire TV, you will also be able to take a stroll down “Fire TV Street,” where you can uncover hidden photo moments and surprises along the way. 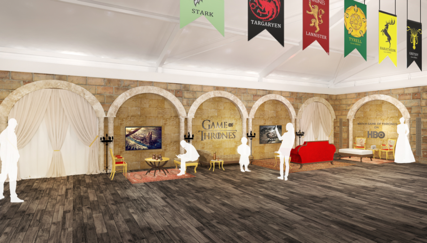 To top it all off, the re-imagined neighborhood will dedicate a corner of the block to Comic-Con’s most prized-possession, HBO’s iconic Iron Throne. 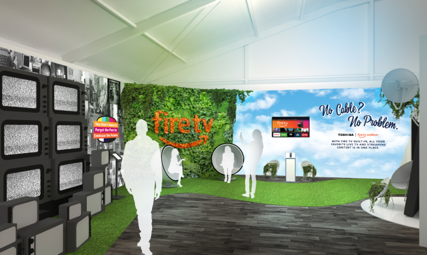 You can visit “Fast Forward to the Future” and test out all of the Fire TV offerings, including the newly launched Fire TV Cube during SDCC beginning Thursday, July 19 through Sunday July 22 from 9:00AM – 6:00PM (Sunday hours end at 5:00 PM).